D-2597 Pallet Covers 48 x 40 x 60"
D-2594 Pallet Covers 48 x 40 x 48"
D-2598 Box Liners 6 x 6 x 6"
D-2599 Box Liners 8 x 8 x 8"
D-2600 Box Liners 10 x 10 x 10"
D-2602 Box Liners 11 x 8 x 6"
D-2601 Box Liners 12 x 10 x 9"
D-2603 Box Liners 12 x 12 x 6"
D-2604 Box Liners 12 x 12 x 12"
D-2609 Box Liners 14 x 10 x 10"
D-2607 Box Liners 14 x 14 x 14"
D-2615 Box Liners 16 x 16 x 16"
D-2605 Box Liners 18 x 12 x 12"
D-2606 Box Liners 18 x 18 x 18"
D-2610 Box Liners 20 x 20 x 20"
D-2608 Box Liners 24 x 18 x 18"
Insulated bubble packaging and insulated box liners are perfect for temperature-controlled shipping. If you have boxes or pallets that need to be kept cold during transportation, we can help. Our insulated bubble packaging is an effective and affordable way to make sure your product arrives at its destination in the state it’s supposed to. These economical solutions are FDA compliant, safe, and leak resistant. They protect shipments, preserve freshness, and make sure your food items arrive with the same consistency, quality, taste, and colour that they were in when they left your facility. Plus, they’re also great for shipping pharmaceuticals or other temperature-sensitive products. These insulated bags and liners protect refrigerated shipments from the elements for more than 24 hours, giving you the confidence you need. You can trust that your shipment will arrive as it should when you’re working with the Packaging Company. In addition to our temperature-controlled shipping solutions, we also offer a wide variety of other products that are designed to help your shipments stay safe and protected during transit. The shipping process can be a traumatic one for packages, with many bumps, jostles, and other actions taking place while a product makes its way to its destination. This includes various temperature changes as boxes and pallets move from warehouses to trucks to other buildings. Protecting your shipments against these hazards is critical, and that’s why the Packaging Company is here. 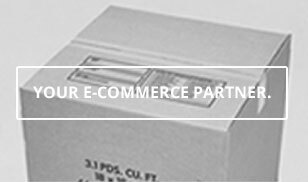 You can trust our products to protect your shipments every step of the way, increasing customer satisfaction and profitability at your business. Insulated box liners and bubble packaging take up a fraction of the space when compared to Styrofoam coolers, so you’ll save money on storage without sacrificing effectiveness. Plus, they store flat, so they won’t take up valuable space in your warehouse or shipping room. They’re an excellent solution for when a package needs to remain cool.